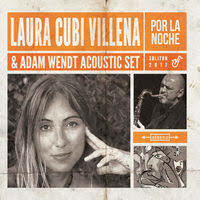 This is an album by Spanish vocalist/lyricist Laura Cubi Villena, recorded with the Polish ensemble led by saxophonist Adam Wendt, which also includes accordionist Cezary Paciorek (Paweł Zagańczyk also plays accordion on one track), bassist Jarosław Stokowski and the Amber String Quartet. The album presents twelve original tracks all composed by Wendt with lyrics by Villena. Villena and Wendt collaborated already on the last album by Adam Wendt Acoustic Set ("Acoustic Travel") which apparently worked well for both of them, leading to this full album recorded together. The music is only marginally Jazz oriented and offers a dominant Spanish/Latin flavor, using elements of Tango and other World Music motifs. The music is beautifully arranged and the instrumental performances are all excellent, as expected from these veteran pros. The accordion parts are especially beautiful, as are the heartfelt saxophone solos. Villena has a deep and sensuous voice, with a rasping coloring, and her delivery is ideal for the melodic contents and sounds authentic and striking. Overall this is a fine Jazz-World Fusion/Smooth Jazz offering, which does not compromise any musical qualities and offers first class entertaining. For lovers of Latin music and the Tango, this is quite a feast. This music, with the help of a good bottle of wine, is able to teleport the listener back in time to the streets of Buenos Aires, where the Tango used to be a way of life. This is second volume of the wonderful project which pays tribute to the great Polish Jazz trumpeter Andrzej Przybielski, who died in 2011. Six relatively young but already established Polish Jazz trumpeters: Maciej Fortuna, Marcin Gawdzis, Wojciech Jachna, Tomasz Kudyk, Piotr Schmidt and Maurycy Wojcinski and a rhythm section comprising of guitarist Jakub Kujawa, bassist Grzegorz Nadolny and drummer Grzegorz Daron perform five pieces, three of which are original compositions by Przybielski, one is a long improvised piece (over half an hour in duration) and the last is the bugle call of Bydgoszcz, the home town of Przybielski. A DVD filmed during the premiere of the first volume of this album is also included. The music is of course a continuation of the content of the first album and readers wishing to read more about the historical background and Przybielski's contribution to Polish Jazz are invited to read my review of that album and other albums by Przybielski. By a weird coincidence I am writing these words just a few days following the death of Tomasz Stanko, the Polish Jazz Colossus. The many parallels, stylistically and otherwise, and of course great differences between these two trumpeters is one of the most fascinating stories of Polish Jazz, definitely worth a book on the subject. Beyond the music per se, these two albums are an important glimpse into Polish Jazz history and an effort to bring Przybielski into the awareness of the Polish Jazz fans, which he sadly almost completely missed during his lifetime. They also show the will of the young generation of Polish Jazz players to continue the tradition and remember the idiom's heroes. 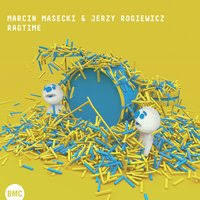 For Polish Jazz fans this is definitely something they should have in their collections. Hats off to all the people who contributed to this project and made it happen. This is the debut album by the avant-garde Polish Jazz/Improvised Music duo comprising of trumpeter Wojciech Jachna and accordionist Zbigniew Chojnacki, two of the most interesting musical discoveries in the last two decades on the burgeoning local scene. 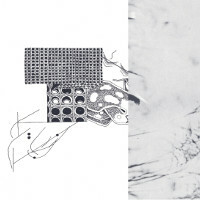 The album presents seven improvised pieces, not credited on the minimalistic album's artwork, and assumed being co-composed by both musicians, as usual in such circumstances. Although both players use electronics to enhance and expand the sonic capabilities of their instruments, the music is mostly acoustic, especially as far as the trumpet parts are concerned. As a result this album features Jachna more immediately and practically "naked" than most of his numerous other recordings, which of course is a splendid opportunity to get exposed to his virtuosic abilities. Chojnacki provides more of the ambient background and space layer of this music, soloing less prominently here, but his contributions are as much important for the overall result as are Jachna's. Intimate dialogues often face the hazard of being too personal to reach a wider audience, but in this case the music created by the duo is completely universal and any open-minded listener should be able to identify with this music, even if it requires undivided attention and some intellectual and emotional effort. The Polish avant-garde Jazz / Improvised Music often excels in its lyricism and harmonic elegance, rather than in dense aggressiveness that characterizes American avant-garde. 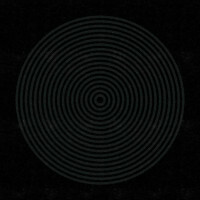 As a result listening to this music is able to bring the listener to a highly relaxed state of mind, almost a nirvana. During last year's Singer Jazz Festival (2017) I invited Chojnacki to play a solo accordion concert on the intimate "small scene" of the Kwadrat Theatre. He arrived armed with his accordion, hooked up to a plethora of electronic devices and played an out of this world non-stop concert with the intensity of an interstellar journey. Of the hundred people who arrived for the concert about half left while he was playing, obviously dazed and confused by what they heard, but those who lasted till the end enjoyed a mind-blowing experience. In my closing statement I told the remaining audience that the fact that so many people left is the best possible proof of how superb the music was. Great music is definitely not for everybody and many sublime musicians were exposed to similar experiences at the early stages of their careers, before their fame became more important than their Art. This album is also not for everybody. It is exquisitely put together by two extraordinary musicians, who already accomplished so much in such a short time and those listeners who are able to comprehend and enjoy their greatness are always gratified and touched. This is a highly recommended album to all true music connoisseurs, who are able to "think out of the box". Brilliant stuff! 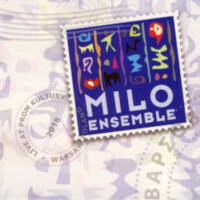 This is a live recording by an ensemble led by Polish multi-instrumentalist/composer/band leader Milo Kurtis, which comprises of some of the top Jazz-World Music Fusion Polish or resident in Poland musicians: vocalist Rasm Al-Mashan, oud player Mateusz Szemraj, kora player and vocalist Buba Badjie Kuyateh, saxophonist Mariusz Kozłowski and percussionist Adeb Chamoun. The album presents eight original compositions, five of which were composed by Kurtis, one was co-composed by him and Al-Mashan and one each composed by Kuyateh and Kozłowski. Kurtis, in addition to being a charismatic bandleader and a colorful personality has also a rare talent of gathering around him excellent musicians, amalgamating their often diverse backgrounds into a stylistic blend, which is simply much more than just a sum of its ingredients. This happened with the Naxos ensemble, in which some of these musicians were members, as well as in his earlier ensembles, and it applies to this one with the exact same efficiency. The music on this album combines many seemingly dissimilar World Music elements from Africa, Middle East and other sources, wonderfully weaving them together with Jazz improvisation, producing an irresistible and enchanted musical flying carpet ride. Each of the ensemble members represents a different aspect of the music and their cooperation, despite the short lived period of preparation, works like magic. Al-Mashan is a soulful vocalist, bringing to life the great tradition of female vocalists from the Arab World, like the diva Umm Kulthum, updating it to the contemporary World Music idiom. Szemraj is an oud virtuoso and he can easily stand shoulder to shoulder with Middle Eastern Masters of the oud. Kuyateh adds a wonderful color and tonal harmony to the proceedings, Kozłowski is the Jazz element and Chamoun superbly creates a polyrhythmic foundation, which keeps the music flowing. Kurtis, as usual, is in charge of the atmosphere and leads the ensemble firmly on track. Although Jazz-World Fusion music is quite popular in Poland and produces some excellent recordings, only a very few of those come close to the level of this album, which is full of spontaneity, happiness of making music and unpretentious but highly effective and honest music. Hopefully this ensemble will record a studio album sometime in the future, but in the meantime let's feast on this little gem of an album, which proves that music is one and universal, that borders are meaningless and that good music goes directly to the heart of people! Don't miss that one! This is the debut album by Polish (resident in New Zealand) Jazz pianist/composer Michał Martyniuk, recorded with a core quintet setting with saxophonist Jakub Skowroński, guitarist Jakub Mizeracki, bassist Bartek Chojnacki and drummer Kuba Gudz. Three guest artists: drummer Sebastian Skrzypek, percussionist Miguel Fuentes and vocalist Tama Waipara appear on selected tracks. 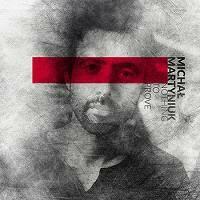 The album presents eight original compositions, all composed by Martyniuk. The music is very melodic mainstream Jazz that stays almost completely within the conventional Smooth Jazz idiom, which is relatively atypical of young Polish Jazz and resembles recordings from across the pond - lush saxophone, dreamy guitar (with very strong Fusion tendencies) and romantic piano are the dominant characteristics. Having said that, the tunes are very well crafted and the music is excellently performed, arranged and recorded, so the listening experience is definitely very pleasurable. Perhaps the idea of this album was indeed that the leader has nothing to prove and decided to record an album easy on the ear, which can be liked by a wide range of listeners mostly from outside the strict Jazz circles. I have already read several very flattering reviews of this album by some Polish "critics", which proves that Martyniuk achieved his goal in full. Duetowa płyta "Terra Plana" katalońskiego saksofonisty Alberta Cirery i pianisty Witolda Oleszaka to dziewiąty album z serii dedykowanej iberyjskiemu free improvised, wydawanej przez Multikulti Project we współpracy z Trybuną Muzyki Spontanicznej Andrzeja Nowaka. Cirera nagrał już w jej ramach solowy krążek "Lisboa's Work", na kolejnej słyszymy rejestrację jego spotkania z polskim pianistą sprzed niecałego roku w studiu Radia Poznań. Muzyka improwizowana, nieoparta na zapisie nutowym, stanowiąca sama w sobie jedyny zapis konwersacji artystów, stanowi wyjątkowe wyzwanie dla słuchacza – to rzecz oczywista. Poza tytułami płyty i kolejnych jej części, odbiorca pozbawiony jest zwyczajowych punktów odniesienia: czytelnych melodii, klarownych rytmów i przejrzystych narracji. Gdy słuchacz wkłada do odtwarzacza i włącza taki album, jak "Terra Plana", jest sam na sam z muzyką absolutnie nieprzewidywalną, a wsparcie nieść mogą wyłącznie wyobraźnia, wrażliwość i doświadczenie z odbiorem takiej sztuki. Tego rodzaju konfrontacje – co niedawno pokazały na przykład płyty "Catapulta De Pols D'estrelles" perkusisty Vasco Trilli i Mikołaja Trzaski czy „Spontaneous Soundscapes” katalońsko-polskiego tria Fernàndez/Majewski/Mazur – są w stanie artystycznie wynagrodzić z nawiązką wysiłek włożony w ich odbiór. Czy tak jest również w wypadku albumu Cirery i Olszaka? W dużej mierze tak, ale nie do końca. A raczej – nie od początku. Bowiem pierwsze minuty wydają się jedynie badaniem sonorystycznych możliwości artystów. Prawdą jest, że te nieraz wprawiają w osłupienie, albowiem duet kreuje dźwięki niezwykłe, intensywnie oddziałujące na wyobraźnię: piski, zawodzenia, warknięcia, szmery, drobne uderzenia, wdechy i wydechy, nagłe stuki i echa tworzą frapującą, enigmatyczną materię. Ale preparowane, same przez się ciekawe dźwięki (nawet tak fantastycznie zarejestrowane, jak w przypadku "Terra Plana") nie tworzą automatycznie spójnej – co z tego, że niefabularnej – opowieści. Z biegiem czasu robi się jednak ciekawiej. Kolejne improwizacje, w których muzycy coraz lepiej wyczuwają się w budowaniu ciekawych narracji, przynoszą atmosferę grozy i zwroty akcji wiedzione tajemną, ale przekonującą logiką. Pojawia się cisza, wewnętrzne napięcie, długie tony stanowiące tło dla gęstszej gry partnera, dobre pomysły strukturalne. Niecierpliwość muzykowania, która może przeszkadzać w pierwszych utworach, ustępuje miejsca uwadze, wyczuciu czasu oraz przestrzeni, a także okazjonalnym namiastkom regularności i pięknie dźwięku – co przy tego rodzaju sztuce jest niezwykle ważne. "Terra Plana" to zatem nie tylko fascynujące doświadczenie dla spragnionych nieoczywistych brzmień, ale również dla szukających – opowiadanych za ich pomocą – niebanalnych, wymagających historii. 1 września wielbiciele jazzu oraz muzyki improwizowanej staną się uczestnikami wyjątkowego wydarzenia. 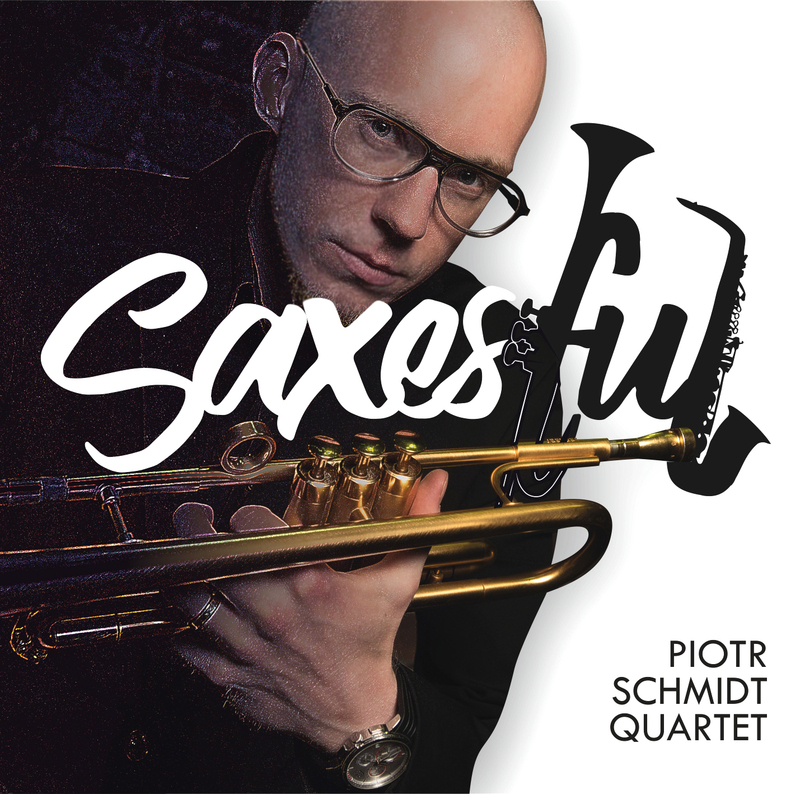 Tego dnia odbędzie się premiera płyty Piotr Schmidt Quartet – "Saxesful", z plejadą najbardziej znanych saksofonistów polskiego jazzu, której towarzyszyć będzie seria koncertów w największych salach koncertowych w całej Polsce. Będzie to 10-ta autorska płyta trębacza przypadająca w 10-tą rocznicę jego działalności artystycznej. Jeden z najlepszych trębaczy polskiego jazzu, Piotr Schmidt, zaprosił do swojego kwartetu pianistę Wojciecha Niedzielę, znanego choćby z wieloletniej współpracy z Janem Ptaszynem Wróblewskim. Schmidt współpracuje z nim regularnie od 3 lat oraz nagrał i wydał dokładnie rok temu płytę "Dark Morning". Do sekcji rytmicznej trębacz tym razem zaprosił Macieja Garbowskiego oraz Krzysztofa Gradziuka, znanych z tria RGG. Jako goście specjalni na płycie wystąpili jedni z najwybitniejszych i najbardziej znanych polskich saksofonistów jazzowych, a wśród nich: Jan Ptaszyn Wróblewski, Zbigniew Namysłowski, Henryk Miśkiewicz, Grzech Piotrowski, Maciej Sikała, Piotr Baron oraz Adam Wendt. Mistrzowie towarzyszyć będą zespołowi Piotr Schmidt Quartet także na trasie koncertowej, która zagości w wielu filharmoniach w Polsce! Po premierze 1 września szykuje się także trasa koncertowa. Będą to m.in. Filharmonia Śląska, Podkarpacka, Bałtycka, Częstochowska, Dolnośląska, a także duża sala wrocławskiego Impartu. Repertuar zespołu to hity muzyki jazzowej: znane standardy we własnych aranżacjach plus kilka niespodzianek. Jest to 32 płyta wydawnictwa SJ Records. Piotr Schmidt, urodzony w 1985 roku trębacz jazzowy, producent muzyczny, wydawca, lider zespołów, wykładowca na AM w Katowicach oraz na Instytucie Jazzu w PWSZ w Nysie. Absolwent Akademii Muzycznej w Katowicach, na której w czerwcu 2016 roku uzyskał tytuł doktora w dziedzinie sztuk muzycznych. Piotr Schmidt jest stypendystą University of Louisville, Kentucky, USA 2006, ponadto w okresie debiutanckim w latach 2006 - 2010 zdobył wiele indywidualnych nagród i Grand Prix na najbardziej prestiżowych konkursach jazzowych organizowanych w Polsce i w Europie. Piotr Schmidt ma na swoim koncie dziewięć wydanych, autorskich płyt w tym trzy z zespołem Piotr Schmidt Electric Group (Schmidt Electric). Od siedmiu lat w czołówce ankiety Jazz Top magazynu Jazz Forum jako jeden z najlepszych trębaczy polskiego jazzu. Współpracował m.in. z takimi muzykami jak: Walter Smith III, Alex Hutchings, Ernesto Simpson, Grzegorz Nagórski, Dante Luciani, Zbigniew Namysłowski, Jan Ptaszyn Wróblewski, Maciej Sikała, Piotr Baron, Wiesław Pieregorólka, Grzech Piotrowski, Adam Wendt, Wojciech Karolak, Wojciech Myrczek, Apostolis Anthimos, Marek Napiórkowski, Dominik Wania, Paweł Kaczmarczyk, Paweł Tomaszewski, Kazimierz Jonkisz, czy Michał Barański. Także z artystami popularnej estrady: Krystyna Prońko, Ewa Bem, Kuba Badach, Ten Typ Mes (Piotr Szmidt) i Miuosh. Piotr Schmidt jest również właścicielem wydawnictwa SJRecords, które w ciągu siedmiu lat istnienia wydało 31 płyt. 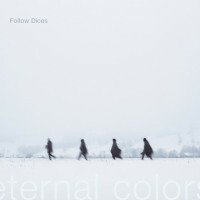 This is the debut album by the Polish quartet Follow Dices, comprising of pianist Franciszek Raczkowski, violinist Mikołaj Kostka, bassist Jan Jerzy Kołacki and drummer Adam Wajdzik. The album presents thirteen relatively short original compositions, five of which were composed by all four members of the quartet, four by Kostka, two by Raczkowski (one of them with Wajdzik) and two by Kołacki (one of them with Tobiasz Gottfried). The album was beautifully recorded at the Monochrom Studio and engineered by Ignacy Gruszecki. The music is a wonderful amalgam of Jazz and Polish Folklore influences, with traces of contemporary Classical and Nordic ambiance. The separate pieces can be easily conceived as a continuous suite, as they present a coherent compositional unity and harmonic consistency, as well as stylistic European Jazz aesthetic. Although based on solid melodic themes, the music is generously open and allows free improvisation between the melodic statements. Constantly floating rhythmically and harmonically, the music is in many aspects an epitome of modern European Jazz at its best, presenting intellectual and emotional involvement complementing each other in perfect equilibrium. All four of these young musicians emerge triumphantly from this ambitious and often quite complex music. Raczkowski weaves the harmonic magic carpet upon which the music floats, Kostka ornaments the proceedings with his romantic and soulful melodic statements, Kołacki is, as expected, the pillar of stability and the beacon pointing out the way and Wajdzik is the master of good taste and delicacy not disturbing the fragile rhythms and playing exactly as much as needed. The unity and cooperation among the band members is truly exemplary. 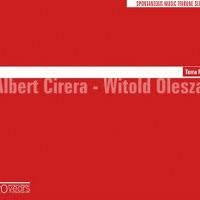 The album distinctly presents the best of what can be defined as Polishness in contemporary Polish music, i.e. it borrows wisely from the tradition, more conceptually than literally, emphasizing the Polish lyricism and melancholy majestically and with elegance and flair. 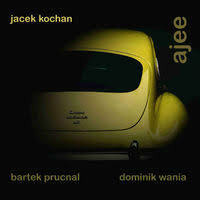 If someone is looking for an example of "Polish Jazz", this is perhaps one of the best recent examples of the idiom. There is no doubt that this is a stunning debut effort, which hopefully paves a way for a fruitful future. As such, it is so far one of the strongest albums that landed on my desk (and in my ears) this year, which is a rare distinction. I can only recommend it to all music connoisseurs all over the world, as music of such quality and depth is very precious and rare. Well done Gentlemen! 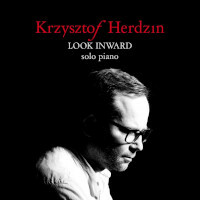 Okładka ostatniego albumu Krzysztofa Herdzina "Look Inward" przypomina oprawę graficzną legendarnego krążka Lenniego Tristano z 1956 roku (zatytułowanego po prostu "Lennie Tristano"). Ten sam kolorystyczny minimalizm i zdjęcie artysty ukazujące pełną skupienia twarz. Ten sam rodzaj napięcia, a jakże inna muzyka. Obie te płyty jednak muzycznie trochę łączy. Przede wszystkim koncentracja i dbałość o każdy wydobywany z fortepianu dźwięk. Krzysztof Herdzin podjął się jednak zadania o wiele trudniejszego. Wszystkie utwory rozpisane są wyłącznie na fortepian, co czyni całe nagranie jeszcze bardziej intymnym. Czasami można odnieść wrażenie, że cała płyta to jedna rozbudowana kompozycja podzielona na dziewięć mniejszych części. Herdzin tym zabiegiem zmusza nas do uważnego śledzenia jego sposobu narracji, gdyż jeden brakujący element może zachwiać strukturą całego utworu. Z drugiej strony ten album to próba uchwycenia chwili, nieco impresjonistyczna analiza zatrzymania rzeczywistości. Rzeczywistości pełnej kontemplacji i zadumy, refleksji i introspekcji. Odzwierciedlają ją spokojne, często pojedyncze dźwięki fortepianu, z których rozwija się przepiękna melodia. Truizmem jest stwierdzenie, że tworzona muzyka opisuje obecny stan ducha artysty. W przypadku "Look Inward" ta zależność jest jednak bardzo łatwo zauważalna. To płyta człowieka już doświadczonego i w jakimś stopniu spełnionego, ale wciąż skłonnego podejmować coraz to nowe zadania. Krzysztof Herdzin zwiedził już bardzo duży kawałek muzycznej rzeczywistości: od klasyki, przez muzykę popularną, aż po jazz. "Look Inward" wydaje się być chwilą wytchnienia w pędzącym świecie, a może wręcz filozoficznym dziełem pobudzającym do stawiania tych najważniejszych pytań. Finał historii Herdzina jest jednak o wiele spokojniejszy i bardziej kojący. Praktycznie niemożliwe jest wyróżnienie pojedynczego fragmentu tej płyty, gdyż dopiero jako całość wywiera ona największe wrażenie. Dźwiękami, do których jednak najczęściej wracam, są te z "Part 8". Delikatny motyw na tle nostalgicznego podkładu. Pozornie prosta formuła, z której Herdzinowi udaje się wydobyć całą magię fortepianu i potęgę muzycznego piękna. "Look Inward" to album dla wszystkich tych, którzy najwyżej cenią sobie harmonię i refleksję. Krzysztof Herdzin tym nagraniem być może rekordów sprzedaży nie pobije, ale na trwałe zapisze się w świadomości miłośników jazzu. This is the debut album by the young European quartet co-led by Spanish (Galician) drummer Carlos López and Polish saxophonist Maciej Kądziela, with Spanish (well, Galician again) pianist Xan Campos and Swedish bassist Johannes Vaht. 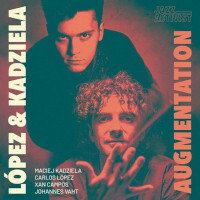 The album presents eight original compositions, four composed by Lopez, three by Kądziela and one by Vaht. The music is a wonderful example of young contemporary European Jazz, full of vigor and flare, based on melodic compositions but including an extensive degree of freedom, which enables novel improvisation and unexpected time signatures. The melodies are well structures and coherent harmonically, diverse stylistically and often include World Music influences, with some Iberian motifs clearly distinguishable. The individual performances are all excellent, as expected form these well schooled and already quite experienced musicians. Fiery and inspired soloing and superb team work contribute to the overall result, which is a genuine pleasure to listen to. Although most of these ensembles are created ad hoc in the burgeoning environment created at the Copenhagen's Rhythmic Music Conservatory, where many excellent European musicians study, hopefully this quartet will come together to record and tour, as it is unquestionably too good to be a one time affair. Definitely worth investigation and highly recommended for modern European Jazz connoisseurs! This is the second solo album by Polish cellist/composer Krzysztof Lenczowski and his first solo cello recording. Lenczowski is primarily known as a member of the celebrated Atom String Quartet, but he is often involved in other projects as well. The album presents eleven compositions, including three originals and one improvised piece, and the rest are his interpretations of Jazz, Pop and Classical standards, both international and of Polish origin. This eclectic collection of musical sources serves Lenczowski well, since a solo cello album is a trying experience both for the artists and the listeners. It allows Lenczowski to display his diversity and obvious technical proficiency, as well as to create a multi-faced portrait of his talents. As the album's title suggests ("Personal Things" in Polish) he selected this time a gathering of pieces that he likes, rather than offer a novel musical concept. This bold decision might result in criticism from some "critics", but Lenczowski is obviously way beyond that by now. 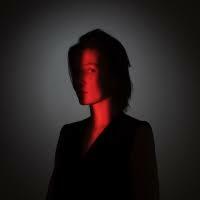 The album is a very pleasing listening experience, changing moods and stylistic approaches constantly. The very personal interpretations are often quite removed from the origins, which of course is all for the better. What Lenczowski is saying here is that genres are simply points of reference and music is one. It either works and manages to move the listener or doesn't work, regardless of the genre; a statement I also adhere to. Overall this is a very unusual, highly personal statement by a superb musician, who wishes to share his personal musical preferences with his listeners, rather than venture into a specific musical venture. Beautifully played and full of elegance and sensitivity, it is a little gem one can return to when the world seems bleak and gloomy. The album is warmly recommended to appreciative listeners, who are tired of flashy and empty statements and need something to hold on to, which is unpretentious and genuinely embracing. Zacznijmy nietypowo, bo od deklaracji: nie jest to płyta jazzowa i piszę o niej na tych łamach tylko dlatego, że mam ku temu pretekst. W skład gdyńskiego zespołu wchodzą saksofonista Tomasz Gadecki oraz perkusista Michał Gos. Tego pierwszego można kojarzyć z duetu Olbrzym i Kurdupel, którego skład uzupełnia basista Marcin Bożek. Z kolei Michał Gos dał się poznać ze współpracy z Wojtkiem Mazolewskim (Freeyo), czy Kubą Staruszkiewiczem i Jackiem Stromskim (trio perkusyjne Gostrosta). Od pewnego czasu Gos i Gadecki, a więc postaci, które w pierwszej kolejności kojarzymy z jazzem i muzyką improwizowaną, są też członkami zespołu Lonker See. Założycielami gdyńskiej grupy są jednak artyści kojarzeni z trójmiejską sceną alternatywnego rocka: gitarzysta Bartosz "Boro" Borowski oraz basistka i wokalistka Joanna Kucharska. Lonker See zaczynali jako duet i dopiero potem dołączyli do nich Michał Gos oraz Tomasz Gadecki. Dzięki "One Eye Sees Red" jako Lonker See oraz występowi na tegorocznym Off Festivalu mają okazję wyjść z cienia. I to nawet niekoniecznie za sprawą zawartości albumu, co faktowi ukazania się płyty w barwach wytwórni Instant Classic z Krakowa. Nie oznacza to jednak, że "One Eye Sees Red" jest dziełem, które należy skrytykować i nie pozostawić na nim suchej nitki. Co prawda dużo tu powielania kalek, które przywołują na myśl dokonania zespołów post rockowych, ale dla fanów bardziej gitarowych odłamów tego gatunku raczej nie będzie to niczym złym. Ważne, że główne motywy utworów są ciekawe, choć i tzw. dłużyzny mogą się od czasu do czasu przytrafić. "Lillian Gish", które otwiera płytę, rozwija się bardzo powoli. Najpierw słyszymy pojedyncze dźwięki saksofonu, dopiero potem pojawia się motyw gitarowy i minimalistyczny perkusyjny rytm. W dalszej części utworu do głosu dochodzą mocne, niemal stoner rockowe riffy. Potem zespół umiejętnie studzi emocje i pozwala, by utwór dogasał w niezbyt szybkim tempie. Pozostałe dwa utwory, których możemy wysłuchać na "One Eye Sees Red", utrzymują się w podobnym klimacie. Są już jednak nieco łagodniejsze, momentami pojawiają się też partie wokalne Joanny Kucharskiej, które jednak nie wysuwają się na pierwszy plan. Od czasu do czasu usłyszymy też jazzowy saksofon, jak np. w zamykającym album utworze tytułowym. Wydaje mi się jednak, że nie zawsze pasuje to do muzyki granej przez zespół, która w moim przekonaniu jest całkiem ciekawa, ale bywa też nużąca lub przeładowana nie zawsze trafionymi pomysłami. 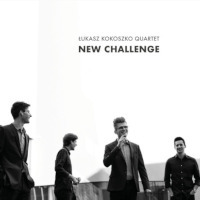 This is the debut album by young Polish Jazz guitarist/composer Łukasz Kokoszko, recorded in a quartet setting with pianist Grzegorz Ziółek, bassist Maciej Kitajewski and drummer Grzegorz Pałka, all representatives of the youngest wave of Polish Jazz musicians at present (2018). The album presents nine original compositions, all by Kokoszko. The music is a melodic variety of Fusion, with stronger Jazz ties than usual Fusion material, especially in view of the fact that except for the electric guitar the rest of the instruments play acoustically. The compositions are also more complex than the usual Fusion stuff, so the overall stylistic environment is somewhere between melodic modern Jazz and Fusion. The music is mostly very calm and melancholic, and perhaps more up tempo numbers would have served the album well to add more variety. All four musicians perform very well, with the obvious emphasis on the leader, who sets the tone, playing the themes and long improvisations. Ziółek also adds several wonderful piano solos and the rhythm section splendidly supports them along the way. Kokoszko is a splendid guitar player, strongly based in the Blues tradition, which is relatively uncommon among contemporary guitar players. His personal style is very unique, which is a great virtue these days, with most guitar players imitating other guitar players. Overall this is a first class debut album, which shows a lot of potential by the leader and his splendid team. Solid compositions and excellent performances add together to create a very pleasant listening experience and the unusual guitar sound and drive are certainly worth being discovered. Well done indeed! This is the debut album by the Polish duo comprising of pianist/composer Franciszek Raczkowski and violinist/composer Mikołaj Kostka. The album presents twelve relatively short compositions, eleven of which are originals: six by Raczkowski, three by Kostka and two co-composed by them both and one is a John Cage composition. The music was beautifully recorded at the Studio Tokarnia and engineered by Jan Smoczyński. The music is conceptually closer to contemporary Classical music than Jazz, but has obvious Jazz ties. It is also very delicate, minimalist and deeply lyrical and it seems that every single note earned its place in these compositions by deliberate contemplation. However, in spite of the sparingness and careful use of notes, the music is fully developed and bodied, creating a wonderful overall effect of coherent musical message being conveyed. Of course in case of a duo, it is the dialogue that the two players are able to develop that matters the most. In this case the dialogue is wonderfully balanced and the soloing by one of the musicians is always excellently accompanied his partner, creating a continuous conversational mode. Kostka displays strong ties with Polish musical Folklore, which is not surprising as many players of his generation show deep love and respect of Polish musical sources, incorporating them in their music. He also joins the ranks of the revered Polish Jazz Violin School, which grows rapidly. Both musicians display a mature approach to their instruments, with obvious talent and technical proficiency, which is always astonishing with the members of the young Polish generation of musicians. 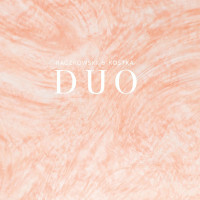 Complimented with the noticeable mutual understanding, respect and common musical goals, the duo is a wonderful example of a whole being much more that the sum of its ingredients. Although still very young, these musicians display a coherence, maturity and skillful appliance of their talents, which is usually only achieved at much later stage of musical careers. Overall this is stunning debut, which deserves to be heard by as many music connoisseurs, way beyond the strict circle Jazz aficionados. It is a wondrous amalgam of Jazz, contemporary Classical music and Folklore, which is powerful in spite of its serene appearance. Absolutely not to be missed! „Masecki zagrałby wszystko, bo on jest człowiekiem, który ma technikę i otwarty łeb. Skręca w takie kierunki, że naprawdę gra się z nim ciekawie”. Tak o pianiście w swojej wydanej osiem lat temu autobiografii powiedział Tomasz Stańko i dziś słowa te wydają się jeszcze bardziej adekwatne. Poza współpracą z osadzonymi w różnych stylistykach zespołami, sięgał na przykład po kompozycje Bacha, Beethovena, Chopina i Scarlattiego, czy rozprawiał się z polonezami i mazurkami. Jego najnowszy album „Ragtime” – nagrany z perkusistą Jerzym Rogiewiczem – to zatem nie pierwszy dialog pianisty Marcina Maseckiego z historią muzyki, czy konwencjami wykonawczymi. Ów dialog Masecki zwykle prowadzi na własnych, osobliwych prawach. Jest przekorny, nie przeszkadza mu powtarzanie się, woli zepsuć niż zbudować, nie chce się podobać, lubi zaskakiwać. Konwencjonalnie melodyjne i rytmiczne ragtime'y posłużyły mu do kolejnej muzycznej dekonstrukcji, w ramach której nie dba o przejrzystość narracji utworów czy perfekcyjne brzmienie. Zamiast tego pianista oferuje jednak znacznie więcej: własny styl. Łączy nienaganną technikę z nonszalancją, szacunek z wygłupem, melancholię z groteską. Gdy do tego doda się jeszcze jego wyobraźnię i swobodę improwizowania, nie pozostaje nic innego, jak z radością i zaciekawieniem odkrywać zarówno sam album, jak i koncertowe nagrania tego repertuaru. Nie bez znaczenia jest oczywiście udział Jerzego Rogiewicza, wieloletniego partnera muzycznego pianisty. Na oszczędnym zestawie perkusyjnym kompetentnie swinguje, dzięki czemu wzmacnia związek duetu z jazzową tradycją. Poza tym, Rogiewicz naturalnie dyscyplinuje Maseckiego, dzięki czemu pianista gra w sposób bardziej ścisły i uporządkowany niż muzykując solo. Ten fakt można uzmysłowić sobie, porównując materiał duetowy z utworem zamykającym „Ragtime” – to nagranie z solowego występu Maseckiego w amsterdamskim klubie Bimhuis. Oba oblicza albumu są równie ciekawe, choć tych, którzy samotną grę pianisty słyszeli nie raz, powinno zainteresować bardziej jego muzykowanie z Rogiewiczem. A brak kontrabasu? To świetny pomysł, dzięki któremu uwydatnia się odrębność przedsięwzięcia, jego bezkompromisowość, a także daleka od perfekcjonizmu twórcza filozofia. Jeśli więc chcieć dziś słuchać ragtime'ów – czy w ogóle muzyki tradycyjnej – unikając przy tym niestrawności towarzyszącej spotkaniom z epigonami, to właśnie w takich wykonaniach, jak to Maseckiego i Rogiewicza. This is an album by veteran and prolific Polish Jazz drummer/composer/bandleader Jacek Kochan, recorded in a core trio format with the incredible keyboardist Dominik Wania, who plays synthesizers exclusively on this album, and saxophonist Bartłomiej Prucnal. Several guest artists appear, mostly on vocal parts. The album presents thirteen original compositions, nine by Kochan and four by Wania. The music, as usual with Kochan's albums, is completely original and unexpected. Characterized by odd meters, which are the drummer's trademark, it is a form of Fusion, but completely different from the typical Fusion approach. There are elements of Groove, Hip-Hop, Rap and Funk, and the sound of the analog synthesizes (which produce also the bass parts) brings back fond retro memories of early Funk albums and the playing of the iconic George Duke. The individual performances by the participating musicians are all first rate, as expected. Wania dominates the album with his synthesizer parts, which expose a new facet of his immense talent. He manages to create a dark, a tad reserved atmosphere, but his virtuosic playing and incredible sense of time are simply astounding. Prucnal adds a more melodic, soulful layer, which at times is very intensive and superbly crafted. Kochan manages to steer the music smoothly through the crazy rhythmic patters, with flair and elegance, which only Master drummers are capable of. This album is quite removed from the Jazz mainstream and as such it will be probably sniffed at by the Jazz "critics", but Kochan is way beyond such trivialities and his constant search after new forms of expression is a virtue he does not have to apologize for. This album is full of wonderful music, lyricism and sophistication, which one rarely expects to pop up in the Fusion idiom. Overall this is a superb piece of music, which takes time to get into and get used to, but offers layer over layer of excellent music and fantastic instrumental work by the participants. Hopefully Kochan will continue to explore and expand the horizons of music and I am already anxious to hear his next album, which hopefully will be here soon. Hats off Gentlemen! This is the second album by the Polish Improvising Music trio comprising of trumpeter Wojciech Jachna, bassist Jacek Mazurkiewicz and drummer Jacek Buhl. Jachna and Mazurkiewicz employ also various electronic devices to produce sound. The album presents seven original compositions, co-credited to all members of the trio. The music is an organic development of the music on the trio's debut album, spontaneous yet well organized, undoubtedly influenced by the fact that it was recorded in the studio rather than live, where Improvising Music is usually recorded. This time the music is certainly more relaxed and often even lyrical, and the use of electronics is subtle and more sophisticated. Jachna, with over two dozen albums under his belt as a leader, co-leader and band member, is certainly emerging as one of the leading personalities on the Polish Improvising Music scene, not only as a superb performer but also as a "mover" who constantly seeks for new opportunities to develop and create new musical environments. Jachna's steady progress over time, which I have been lucky to follow at first hand since several years, is a wonderful chronology of his personal development, as well as a superb illustration of the renaissance of the Polish Jazz scene, which he exemplifies perhaps better than most. The cooperation between Jachna and Buhl also goes back several years, and their phenomenal telepathic bond is clearly present on this album. Buhl takes the notion of "drumming" way beyond the conventional concept, with puts the traditional role of time keeping completely out of the picture. His contributions on this album are as much revolutionary and innovative as the work of Tony Oxley in the late 1960s. Mazurkiewicz completes the molecular bond of the trio with his beautifully harmonic work and rhythmic pulsations, which are crucial in absence of traditional drum parts. Overall this is a beautiful and highly rewarding musical experience, which in spite of its Improvised Music labeling, is quite accessible to a large Jazz loving audience. For the many fans these musicians already have, this is a must of course, but at the same time this is a great opportunity to get exposed to some superb music, regardless of stylistic connotations. Wholeheartedly recommended!